The DJ Screw and the Rise of Houston Hip Hop exhibit has come down and Special Collections is busy prepping for the next exhibit, also related to music but from a completely different time and place. The next exhibit, Sacra et Profana: Music in Medieval Manuscripts, encompasses the sacred music of Christian, Jewish, and Islamic peoples as well as the profane, or secular, music. It also considers manuscripts’ physical nature, their production by hand and development to print. It is scheduled to open on October 10. The exhibit was produced in the context of a seminar taught by Dr. Judith Steinhoff entitled “Art Exhibition: Music in Medieval Illuminated Manuscripts,” which engaged the students in all aspects of the creation of an art exhibit. For more information about the exhibit and the class’ work, visit the exhibit page. And if you missed the DJ Screw exhibit, you can still learn about it or take a look at some of the featured items in the UH Digital Library collection, DJ Screw Photographs & Memorabilia. Watch the blog for more information about Sacra et Profana: Music in Medieval Manuscripts as October 10 approaches! Blanche Espy in her first evening dress, circa 1912. Materials from the Carey C. Shuart Women’s Archive & Research Collection are featured in the latest digital collection from Special Collections. 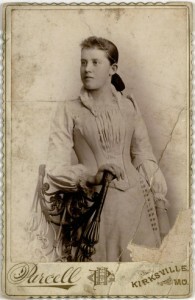 Blanche Espy Chenoweth, Her Life, Her Times, contains photographs documenting the life of Blanche Espy Chenoweth during the late 19th and early 20th centuries. 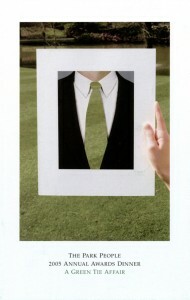 The collection contains 67 individual photographs and a 48-page scrapbook. The photographs include formal portraits and snapshots, which provide examples both of formal dress and photographic customs from the time period and shots of life unscripted. Chenoweth was a a lecturer, writer, and voice on the radio who covered topics related to women’s social customs, homemaking, and general well-being. She was born in Iowa in 1875 and spent the last 25 years of her life in Houston, prior to her death in 1960. 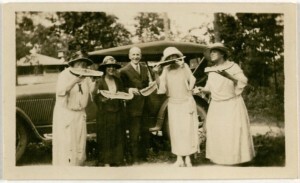 Blanche E. Chenoweth (far right) and others enjoy watermelon while in North Carolina, dated August 1923. Throughout her adult life she lived and travelled in various cities giving lectures on women’s dress and grooming and their importance in a happy life. In the 1920s, she lectured and wrote on the problems of women at the Chautauqua Institute in New York, and in the 1930s she had a radio program in Chicago which gave advice on women’s personal problems. Visit the collection in the UH Digital Library to see all of the photographs! On Thursday, Holocaust Torah No. 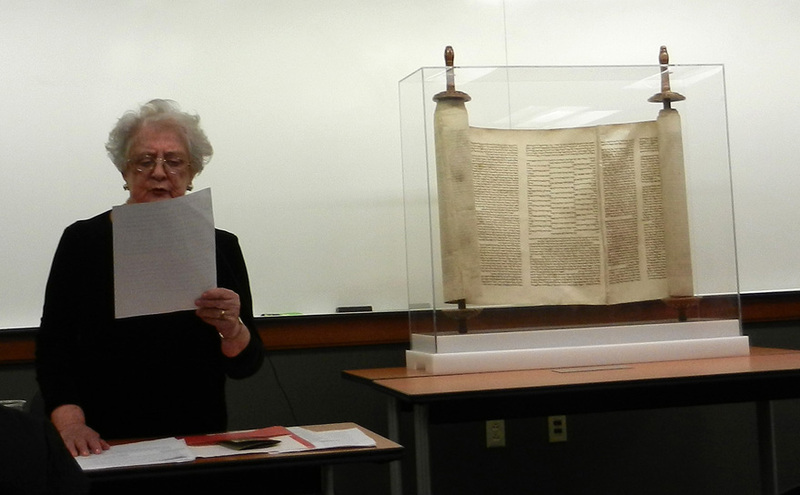 1518, held by University of Houston Special Collections, was dedicated in a ceremony that included a speech by Holocaust survivor and UH alumna Celina Fein. Celina Fein, a Polish Jew, survived the Holocaust by obtaining false papers with the help of her older sister and working for a family in Germany under the identity of a Christian. After the war’s end, she moved to the United States with her aunt, who had survived the Holocaust with her, and began speaking to groups about her experience. At the age of 71, she earned a B.A. in English from UH. The Torah was recently placed in a specially-designed Plexiglas case and is now on permanent display in the Special Collections Reading Room. The case was commissioned by UH faculty, alumni, students from the Alpha Epsilon Pi fraternity and the Houston Jewish community. UH has held the Torah, the holiest book in Judaism, since 1976, when it was obtained on behalf of the student body with the help of UH faculty and the Houston Jewish community. Instrumental in bringing the Torah to UH was English professor Irving Rothman. In 2012, Rothman began the effort to commission the display case. The Torah is said to have been brought during World War II from its community to the Pinkas Synagogue in Prague and is held under the protection of UH in agreement with the Memorial Scrolls Trust of the Westminster Synagogue of London, which gathered the Holocaust Torahs after World War II and repaired the scrolls for safekeeping. The Torah is not a printed document, but a scroll of 80 panels of parchment sewn together with animal sinew, constructed by highly qualified scribes through a painstaking, careful method. The scroll includes the five books of Moses. To hear Rothman and Rabbi Kenny Weiss, executive director of the Houston Hillel and adjunct faculty in the UH department of religious studies, speak about the scroll, take a look at this short video. The public is welcome to view the Torah during the Reading Room’s regular hours. For more information about the history of the scroll, visit UH News. *Editor’s note: The original text of this post has been updated to better reflect the Torah’s history. Our latest digital collection, and the first from the Houston History Archives, is now available in the UH Digital Library. The Park People Annual Awards Dinner Invitations includes invitations for events that reflect the mission championed by The Park People: to preserve and expand green space in Houston. The awards began as a simple affair in 1981, and invitations from from 1992-2005 are included in this digital collection. 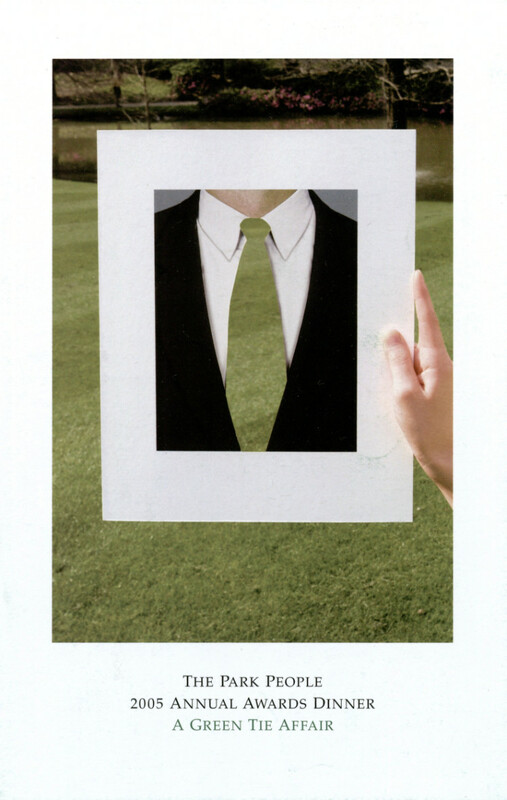 These creative invitations reflect not only The Park People’s success but also the spirit of woodsy and easy elegance that characterized the organization. These invitations are part of the The Park People Records, which can be viewed in the Special Collections Reading Room during normal business hours. For more information about The Park People Records and the invitations, contact Dr. Terry Tomkins-Walsh.